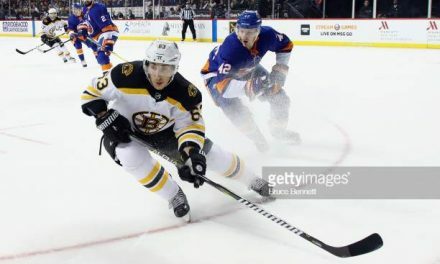 On Thursday night the Boston Bruins and Edmonton Oilers will meet at 7 PM at TD Garden. This is the first matchup between these two teams in the early going of the 2018-2019 season. The Oilers will be looking for their first win of the year while the Bruins are looking to extend their win streak to three. It will be an interesting matchup between two teams heading in opposite directions. The Bruins will come into this game having won back to back games after being embarrassed on opening night. Their defense has improved over the last two games while their top line has been dominant. 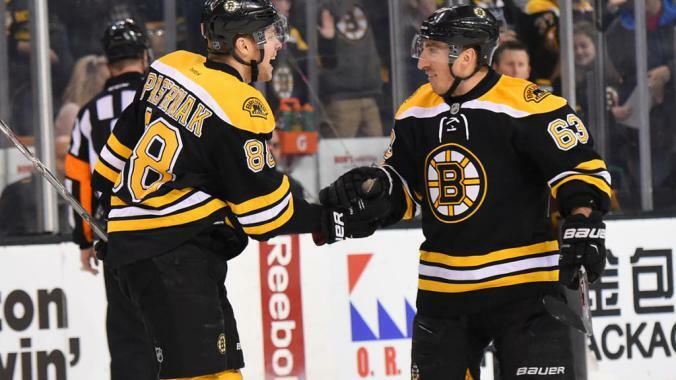 In their 6-3 victory over the Ottawa Senators on Monday, the Bruins top line contributed to every goal. The Oilers will have to contain that line which is no easy task. They are a young team and will be looking to rebound following a tough opener. The Oilers first game of the season like the Bruins opener was forgettable. They fell to the Devils 5-3 and struggled in many areas of the game. Conor McDavid was a bright spot as he had an assist on two of Edmonton’s three goals. Former Bruin Milan Lucic will return to the Garden following a strong opener for Edmonton in which he recorded a goal and an assist. 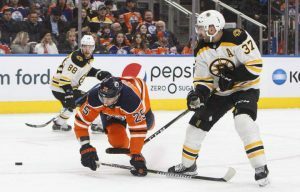 The Oilers must limit the Bruins offense which has scored ten goals in their past two games. 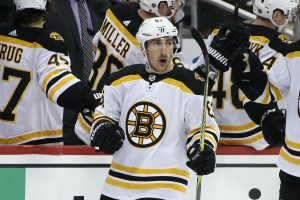 The Bruins top line early on has proved that it is still one of the best lines in hockey, but they will need help. 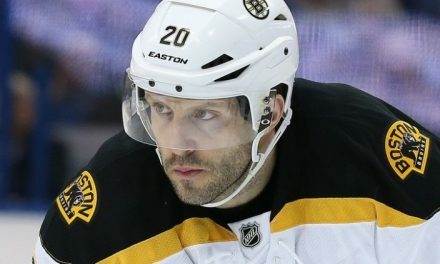 Of the Bruins 12 goals this season only two have not come from the Bruins first line. The Bruins other lines have looked better of late but they will need to put the puck in the net. The Oilers will be looking to limit Bergeron, Marchand, and Pastrnak and challenge the Bruins other forwards. The Bruins will have to limit McDavid and Lucic who are coming off strong performances against New Jersey. For Edmonton, the key will be to limit the Bruins top line and challenge the Bruins depth. 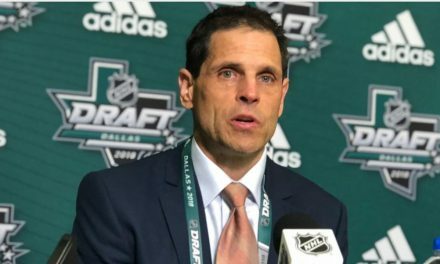 The Oilers will have to play better defensively and can not allow five goals again. They have had four days to rest meaning they should be at the top of their game. They will be getting reinforcements in the form of one of their top forwards in Ryan Nugent- Hopkins. He was held out of practice Monday after getting banged up against New Jersey but is expected to play. Jaroslav Halak will get the nod in net making his second start this season. He is coming off an impressive game against Buffalo in which he stopped all 32 shots he faced. In two games this season he has a save percentage of .960 and goals against average of 1.29. Cam Talbot will get the start for Edmonton looking to bounce back after allowing four goals on 26 shots against New Jersey. He has been successful against the Bruins in his career recording a 5-2 record. In those seven games, he has a save percentage of .922 and goals against average of 2.72.